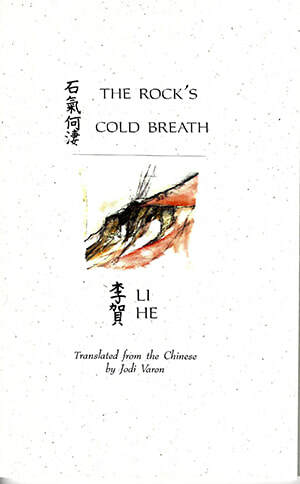 Li He is a Tang poet who set himself apart from the polite sensibility of his forebears...He was uncommon in his poetics, and both celebratory and morose in his many personae. His natural world is fecund with lotus, orchids, and islands ringed by willows. Whirlwinds breathe, alligators hum, dragons grieve, and the poet gallops recklessly on white mist. The sheer force and energy of his poems place Li He almost two millennia ahead of his time. He would have been a soul mate of Coleridge, or better yet, Baudelaire and Trakl."